Marcel is a 2009 graduate of the Masters of Science in Physiotherapy at the University of Ottawa. He joined the team at Keystone physiotherapy in 2016. Marcel, also graduated with his bachelors in Kinesiology at the University of Moncton in 2007. 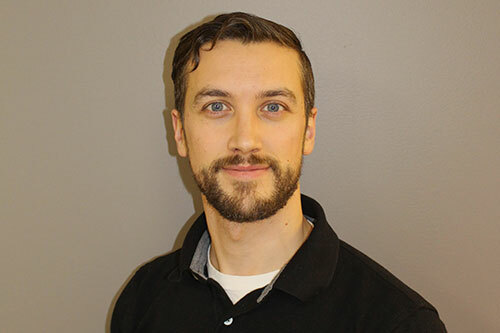 Marcel is dedicated to his profession continuing his education in manual therapy, McKenzie Diagnostic and Treatment (MDT) approach, soft tissue release and is certified with the Acupuncture Foundation of Canada. Marcel has had many years of experience treating a variety of conditions for all different ages and from recreational to competitive athletes as well as work injuries and motor vehicle accidents. He uses his expertise in manual therapy, exercise prescription and postural education to find simplified and effective solutions in achieving client goals and teaching clients how to better self manage their injuries. Marcel has competed in a variety of high performance sports including Soccer, Cross Country Running and Curling. Marcel participated in 4 canadian championships including the 2006 CIS Cross Country Championship and the 2012, 2014 Mixed Curling Championships. Marcel is also currently involved with the Center of Curling excellence at Curl Moncton during their summer curling camps as a educator on improving performance and injury prevention. The busy father of twin girls does find time to do some recreational running and competitive curling. He also has a strong sense of community involvement, volunteering for many sporting events such as the 2010 Canadian and World Junior Track and Field Championship, the 2016 Canadian Junior U-14 soccer championship and many other local events. He even organised a 5 & 10K Race for Food Depot Alimentaire in 2010. Book an appointment with Marcel!